Do we know where our food comes from? Does it come from down the road, or from a continent away? And do we really care? It’s all the same to us. Agriculture, especially food production is a topic deeply rooted in development. It’s too important to not pay attention to but it’s hard to know where to begin understanding it. And we know this because conversations about food can get uncomfortable sometimes, especially while there are farmer protests taking place, when we realise our cities are inundated with garbage and detritus, much of which comes from packaged food. And we're still fighting problems like malnutrition. That said, India's food production story has been an accomplishment. India moved from battling famine and high import prices to achieving food self sufficiency in a matter of a few decades. Yet, we now recognise what the long terms effects of rampant water use and intensive cultivation has done to our land and we also know who it left behind or didn't reach. While we are disconnected from those who grow our food, their lives and the rural economy, today, we're at a cusp of change and the question is how quickly are we going to get on board? We have the ability to shape our food future, to pay attention to the systems that bring us our food and close the gap between farmers, producers and consumers. And so to make sense of the questions like why do we grow what we grow and how we grow, and to understand what sustainable food production could look like in the future we decided to go local. 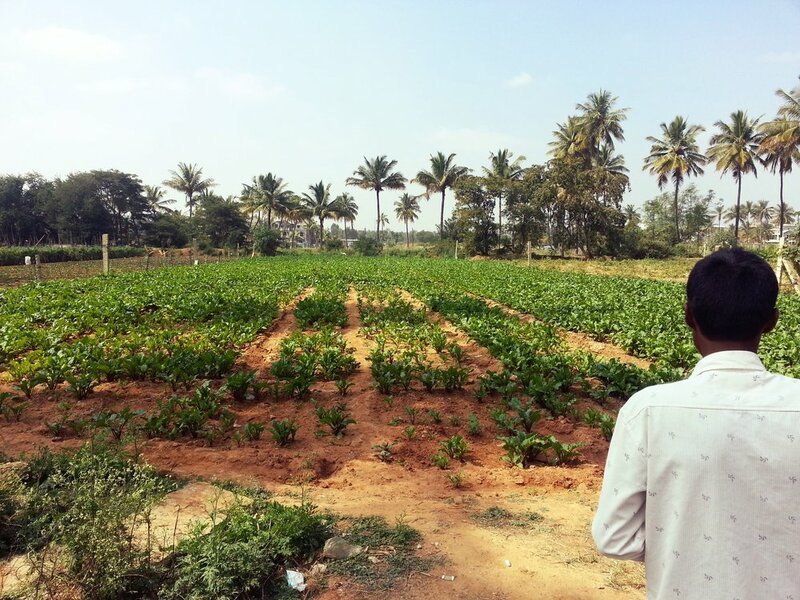 In this episode we meet our local resident water expert, our local ag-policy wonk, our local journalist who writes about Karnataka’s countrysides, and our local organic shop owner. Vegetables in Devanahalli, just north of Bangalore city. Thanks to Zenrainman / S Vishwanath, Bishwadeep Ghose, Pravez Mullah and Vikhar Ahmed Sayeed. Photos: All photos by Samyuktha Varma. Sounds: Apple Music/Acoustic Picking 7 and 17.